Carmen and Pat are fantastic! And, went above and beyond. I had a freight delivery which they helped me with (an it was snug in my garage when I got home. The [cleaning service] let one of my cats outside and neglected to tell anyone. Carmen and Pat diligently looked for [her] and she eventually showed up at the front door. The [cleaning service] also blew a breaker that my Pet Elves resolved; my Pet Elves also identified and turned off a persistently running toilet. It was quite the week! And, my cats were soooo Happy when I got home! Even [the cat] who struggles with constipation. And they put Miralax in his food once a day as requested. OMG, I could not have had a relaxing return from my vacation without them! Thank you Carmen and Pat!!!!! Thanks again for your pet sitting services for Zack. Terri did a great job and Zack was very happy to spend the week in his own home instead of the kennel. We just wanted to say thanks for the extra care you gave Britney while she was recovering from her surgery. It makes us feel so much better leaving them in good hands! 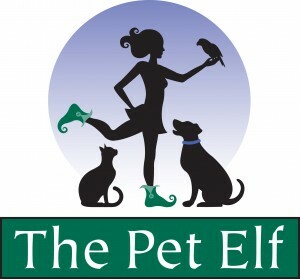 We are so grateful to The Pet Elf and especially Jennifer. Everything looks great and our pets were very well taken care of. Jennifer dealt with the storm and all the craziness that went with it perfectly….I cannot say how relieved I am to have heard about your company. We couldn’t make a trip like this if we didn’t have caring and reliable folks like yourselves to keep our pets safe and happy! Lulu was in a happy mood and really appreciate the excellent care and text communication from Dana and Nadya. Especially appreciate Dana’s extra efforts to address the surprise ant issue!